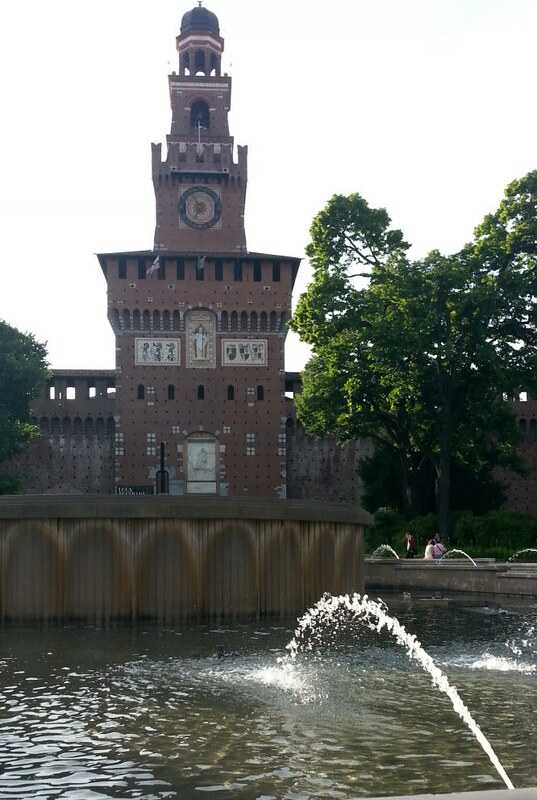 The one in front of the Sforza castle in Milan (Italy). It is also known as the tort de’ spus [wedding cake], after the created by the jets of water in the centre of the basin. It was just just a bit unlucky to be there at a time the fountain was almost completely down… It is not the original one, but a recent reconstruction of the one built in 1930, during the Fascist regime. The decorative motives reminiscent of the bundle of sticks that symbolized Mussolini’s dictatorship were kept, even. As usual, it was a quick business trip to Milan with the typical Sforza castle – Cathedral – Vittorio Emanuele Gallery – La Scalla) tourist tour before dinner on day one, and fly out on day two. Shopping trips have been legendary, though. Milan is * only * Dolce & Gabana, Etro, Versace’s home…. No pressure.